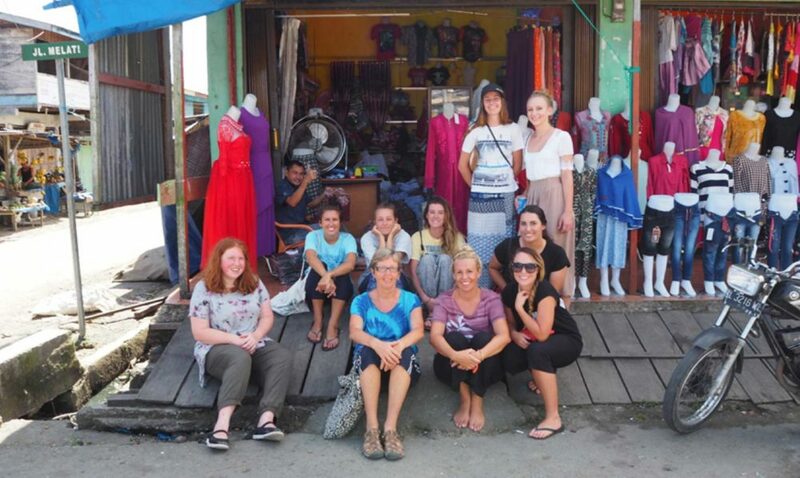 The islands of Simuelue and Bangkaru (Western Indonesia) didn’t occupy a great deal of thought in the minds of undergraduate Business and Tourism students Lauren, Sarah B, Jackie, Tia and Britt prior to June 2016. Things are different now, though! The five (5) girls are studying Tourism Business or Convention and Events degrees at Southern Cross University, Australia. They joined Maddie, Cassie, Sarah D, Jorgia and Jaimee, undergraduate students in Environmental Science and Marine Science at Southern Cross University. Together the group completed a two week, hands on immersion as part of a 2016 New Colombo Plan scholarship they received to travel to the region to assist in a conservation and ecotourism project. The students were joined by Dr. Kay Dimmock from SCU. Together they spent 3 nights on remote Bangkaru Island where they worked with the island’s only residents, two rangers, in observing, monitoring and recording sea turtle nesting, as well as learning a great deal about the need for the island’s protection and conservation. Twice a day (1 pm and 9 pm) the team would join the ranger trekking through dense primary forest and muddy bog to reach the ‘turtle beach’ on the other side of the island. The trail took a bit of effort, especially on the first night – said Dr. Dimmock. However, the girls didn’t complain at all, they were terrific. Their time on Bangkaru involved learning about threats to nesting turtles, like monitor lizards and following trails in search of poacher camps. 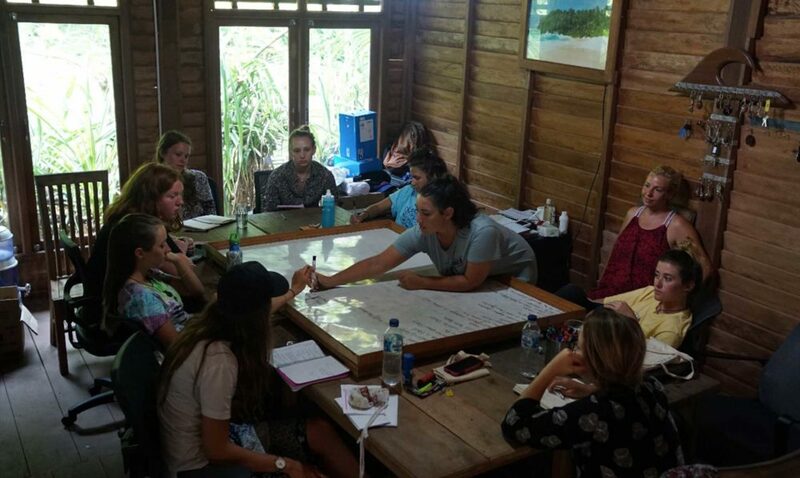 After Bangkaru the group returned to Simuelue and were based at beautiful Mahi Mahi Surf Camp where the classroom work took place. The girls brainstormed ideas to support the turtles and develop island conservation initiatives. Through this facilitated process the group settled on their wish to raise the profile of the voluntourism program for Bangkaru which was at a developing stage. Together they worked through many possibilities, with the collective skill and knowledge base across the group being allowed to shine through. It was great to see the girls embrace development of the project. The firsthand experience on Bangkaru inspired and encouraged them, I’m sure, said Dr. Dimmock. Group outputs reflected their desire to create greater awareness for the volunteer program and establish affiliation with similar organisations. From this the team designed a logo for t-shirts and merchandising, formalised a name for the program (V.A.S.T - Volunteer Aceh Sea Turtle), and wrote a briefing and information document to inform future volunteers. They contributed substantially to VAST’s social media platform creating FB, and Instagram presence and established preliminary relations with mutual international organisations such as Australian Seabird Rescue where some of group volunteer. Team members who initially didn’t know each other, worked really well together and have much to be proud of. The Healthy Islands team who hosted the group were extremely grateful for the work done by the new V.A.S.T. ambassadors. Their involvement in the project is ongoing with one student returning to Mahi Mahi to complete the Internship component of her studies later in 2016. Others have promoted the program through social media or in their work with the undergraduate student network (UniLife) at SCU, or through local festivals and environmental programs – like Sea Shepheard fundraising events - to continue spreading the message! The program has been immensely fulfilling for everyone with future visits to the region highly likely!